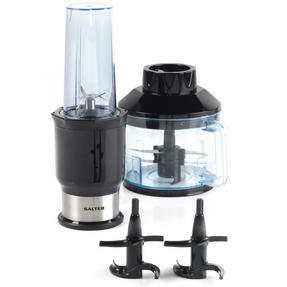 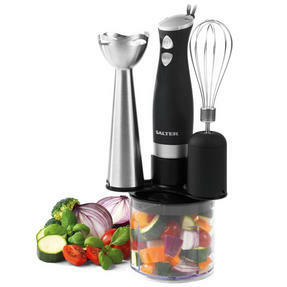 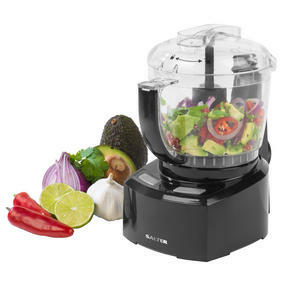 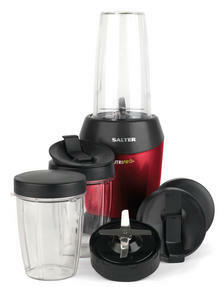 Create tasty dishes for the whole family to enjoy using this dual function Salter NutriSlim. 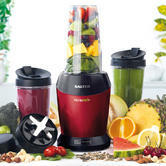 With 700W power and unique extraction blades, it locks in the best vitamins and minerals for flavour packed food and drinks with all the nutrients you need. Featuring a smart design, the NutriSlim looks great in any setting and comes with healthy recipes to get started straight away. 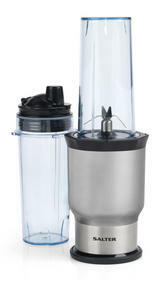 A BPA-free 450 ml bottle and a 1250 ml chopper bowl are included, so you can share your creations or enjoy them on the go. 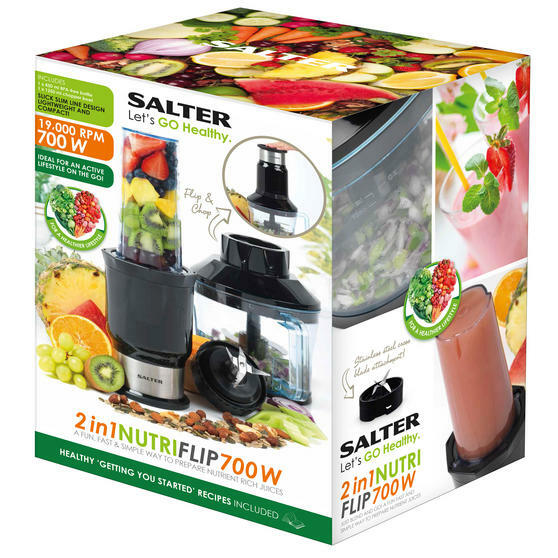 For a healthy lifestyle and to pack more fruit and vegetables into your diet every day, the Salter NutriSlim is a great way to start. 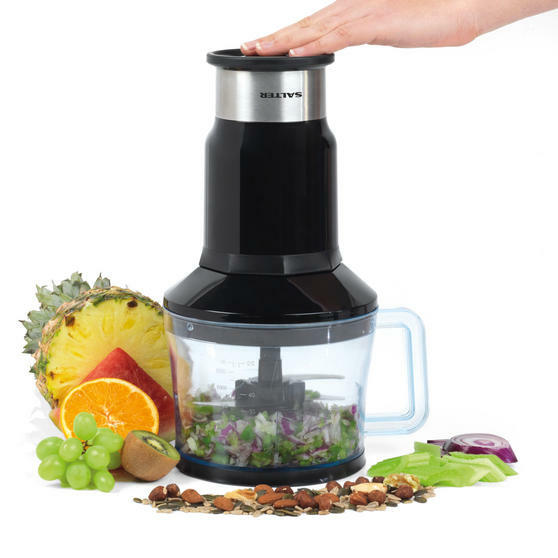 The 700 W power base will look brilliant in your home – its smart interchangeable design flips to operate the blender or chopper bowl. 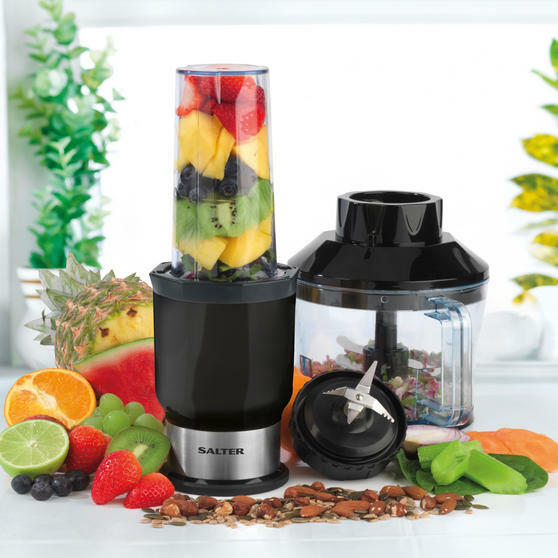 With efficient stainless steel cross blades, you can create beautifully blended smoothies and juices packed with healthy nutrients. 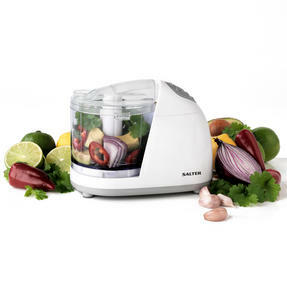 Place your ingredients into the 1250 ml chopper bowl and power up the base to swiftly chop up and quickly add to tasty family meals. The slim line design is compact and lightweight; measuring at 14.7 x 31.5 cm the NutriSlim is the perfect addition to your kitchen.